The Committee for the Environment and Infrastructure is currently progressing the option for managed realignment of a 130m stretch of the coastline at the eastern end of L'Ancresse. Royal Haskoning DHV presented information on the proposals to the public on 12th June 2017 and subsequently on 22nd August 2017, with aerial photographs of the beach in 1933 and 1942. A copy of the presentation is available to download from the side of this page. A number of videos have been prepared which provide an explanation of the realignment and answer some of the most frequent questions. Pembroke Bay was backed by grassed sand dunes interspersed with the remains of Napoleonic structures up to the occupation of Guernsey by German forces in 1940. The 950m concrete anti-tank wall was constructed in front of the dunes around the bay in 1942 in order to protect against an amphibious attack by the Allies. The wall was not designed to be a coastal defence. The anti-tank wall had significant repairs during the 1970s and 1980s when the protective concrete toe at the base was encased in concrete. 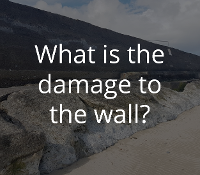 The wall is vulnerable to damage from wave action due to its position in front of the high tide mark. Waves hit the wall at the western side of the bay during storms and, because the vertical face does not dissipate energy, the power of the wave increases as it travels along the wall to the eastern side of the bay. During storms this power causes dramatic overtopping of the wall by wind driven water. It is at the most easterly 200m of the wall where most damage occurs when sand is regularly scoured from under the wall and its toe. There is no proper foundation to the anti-tank wall which 'sits' on the sand. The loss of sand due to wave action at the base of the wall has caused regular undermining of the toe and the wall, causing the toe to break away from the wall. The movement of the wall and the toe have caused the concrete to crack across the face of the wall and along the toe. 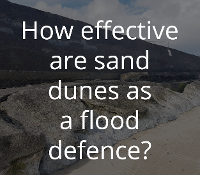 It also causes the beach level to regularly drop here because the sand is washed further down the beach instead of settling at the top of the beach as it would if the waves ran out to their natural length at high tides. Numerous repairs to damage from the sea to the wall and toe at the eastern end of the bay have not been successful and the wall has continued to deteriorate. Works to repair the most serious damage in the wall close to the kiosk were undertaken in July 2017. 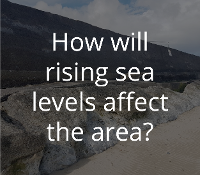 There is urgent need to bring about a long term solution for L'Ancresse East which is adaptable and sustainable for the future, taking into account sea level rise associated with climate change. Coastal defence reports in 1999, 2007 and 2012 have reviewed the condition of the wall and the difficulty of maintaining a structure on the current line at the eastern end of the bay. The previous Environment Board approved the 2012 Flood Risk Assessment Study option for a managed re-alignment of the coastline to address the 200m of failing wall at the eastern end of the bay. 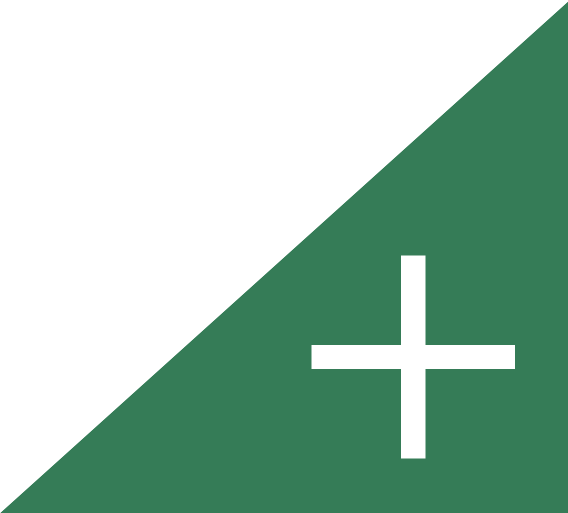 This option would remove a 130m section of the anti-tank wall and erect two rock armour structures. The structures will help to increase the sand levels and develop a sandy beach backed by a dune habitat. This would be similar to the beaches at Port Soif, Grandes Rocques and Les Amarreurs which are backed by sand dunes. The proposal for a managed re-alignment was affirmed by the Committee for the Environment & Infrastructure in 2017. Subject to approval of funding and Planning consent, work on the project would start in 2018. The anticipated time scale would be 18 weeks depending on weather conditions. 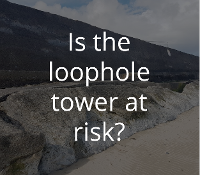 Frequently asked questions about the proposals to remove 130m of the L'Ancresse anti-tank wall have been published by the Committee for the Environment & Infrastructure (below and available to download from the side of this page). 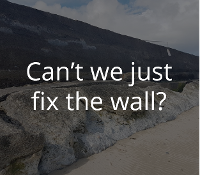 A wide variety of questions are addressed, including further clarification of the potential costs involved, details of why re-enforcing the wall isn't the best option, and an explanation of why dealing with this wall is a priority compared to other coastal areas in need of repair. The Frequently Asked Questions are also available to download from the side of this page in PDF format. If you have any questions or would like more information please contact aclms@gov.gg. What is happening at L'Ancresse East? L'Ancresse has been subject to detailed option appraisals for some considerable time. The eastern most 200m length of wall at Pembroke bay/L'Ancresse is now deteriorating and there is a potential for it to fail. Short term work to repair the worst of the cracks in the wall near the kiosk was undertaken in July. It is now critical for a decision to be made about to deal with the failing 70 year old anti-tank wall. Continued maintenance and repair of the failing wall will become increasingly expensive and problematic. What is the Committee proposing to do at L'Ancresse? The Committee is proposing a managed realignment to the worst affected areas at the eastern end of the bay. 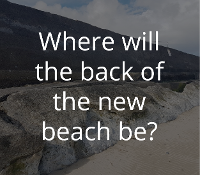 This option will allow the development of a semi natural, dune backed, beach which will increase the recreational value of the area and provide a coastal defence for the next 50 years and beyond. It is intended for the construction of rock groynes and the removal of a number of wall panels to be completed over approximately five months during 2018. The project will deliver a sand dune backed beach between the rock groynes with the line of dunes established around the bay returning to levels akin to pre-wall construction. The golf course would not be affected during the alignment process and the public footpath would be moved to run to the north of the pre-Martello tower along an existing desire line. There would be some emergency repair work necessary this summer to those panels that would be retained in the new scheme. This proposal is consistent with that supported by the former Environment Board. Why is it costing so much? The current estimated cost of the preferred option of a managed realignment is £1,016,000 and whilst the issues seem simple, this is actually a complex engineering project. All projects on this scale are expensive, but every major project like this is subject to strict States of Guernsey procurement rules and the competitive tender process will assure best value for money. The costs include buying around 8,000 tonnes of 3-4T granite boulders from a quarry, which then have to be delivered to site one or two at a time (depending on size and shape) due to their size. This will require a lot of lorry movements over a period of several weeks. The panels of the anti-tank wall have to be lifted out and if the concrete the current wall is suitable it will be broken into large pieces which will form the core of the rock groynes. 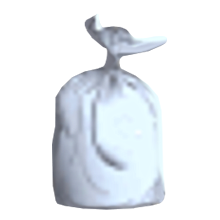 This will help to minimise costs. The broken concrete will be held underneath a membrane under the rock armour. 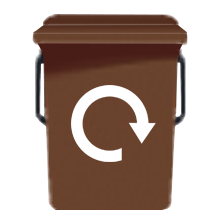 The recycling of the concrete is a saving, otherwise it would have to be broken up to be taken off the beach by lorry and the disposal of such an enormous amount of concrete would carry substantial cost. The hire of drivers and excavators capable of moving boulders of this size into precise positions on the rock groynes is another cost. 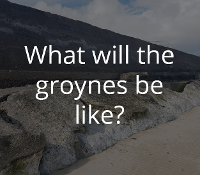 Overall it is intended that the work on site, including the construction of the rock groynes, will be completed over approximately 18 weeks depending on weather conditions. Work on beaches, particularly with heavy vehicles, means that tides have to be taken into consideration - it's just not possible to work a 08:00 to 16:00 5-day week on coastal defence works. High tides can cut short working time in the area of the wall and safe working according to the tides is critical. Contractors may be working more than five days a week to keep on schedule - that can also increase costs. The work of this project provides a sustainable solution for the long term future of the beach with minimal ongoing costs of maintenance. Wouldn't this be a lot cheaper in the UK? This would no doubt cost less in the mainland. It is widely known that construction costs in Guernsey are higher than those in the UK for a number of reasons such, higher cost of materials, a lack of economies of scale, shipping costs, higher labour costs. Construction costs in Guernsey are often 30-40% higher than UK. 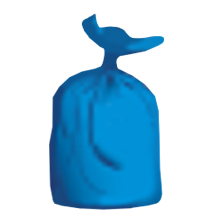 How does this compare with other projects? The repairs last year to granite walls at the Longstore slipway in Belle Greve Bay cost £193,000. 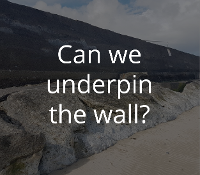 The 420m length of Perelle wall cost £450,000 to repoint and to repair undermining and similar work on 150m of the higher wall south of Fort Grey cost £423,000. 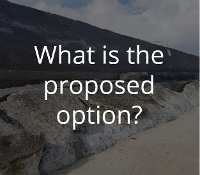 The advantages of a managed realignment are considerable though - for future there would be minimal cost of routine maintenance to the rock groynes. The new dune backing the beach would be virtually maintenance free. We already have dune backing beaches in Guernsey and these are effective and popular. Records show that the dunes protecting Grande Rocques, Port Soif and Les Amarreurs have cost the States less than £5,000 between them over the last ten years - and these beaches are amongst the most popular family beaches in Guernsey. As with these beaches, we must ensure that the public respect the need to protect the roots of the specialised dune grasses and other plants by keeping to the footpaths. Why can't you simply let the wall fail? Simply allowing the anti-tank wall to fail would be both dangerous and unpredictable. 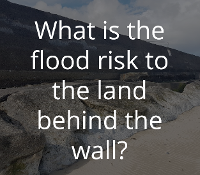 The failure would likely occur over a period of several years and would result in uncontrolled erosion of the land behind the wall. This could cause undermining to the pre-Martello tower and affect the golf course beyond. Access to the beach as well as a significant area behind the existing wall, would be lost due to the dangerous condition of the wall and give rise to public safety concerns. Despite the Eastern end being the only area of concern currently, the entire length of the beach would need to be closed for health and safety reasons. 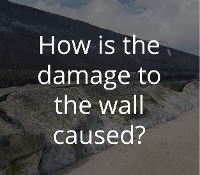 There is also the potential that the sections of the wall that are currently in good condition could be destabilised by water eroding behind the wall. Of course the collapsed sections would have to be retrieved from the beach at some point so that the beach amenity could be restored. There are significant hidden costs associated with this simplistic option. What would happen if a panel fell during a storm over high tide? If one panel fell during a storm over a high tide the pressure of water pushing through the gap would be uncontrolled and could push through the land behind in any direction. By comparison if the anti tank wall is removed (approximately 130m) between the two rock groynes then the sea has a much wider space to flow through. We expect erosion of the area behind the wall immediately after removal of sections of wall. This will be accelerated in the short term as the 'new coastline' establishes itself in response to coastal processes. If you imagine turning a hose pipe on full and putting it close to the soil in a flower bed you get some idea of what would happen if a single panel of the wall fell - the water under pressure immediately pushes through the soft soil and displaces a lot of it. But if you take a bucket of water and tip it out gently at ground level on the flower bed the water flows over the soil more slowly and gently. The soil displacement and disturbance is much less - and that's similar to the effect of the sea flowing into the wide gap which would be created when the wall is deliberately removed over a short period. Why can't you re-inforce it? Can you not pump lots of concrete into the cracks? Concrete can be pumped into the cracks and some work is planned to do just that at the area which is most badly damaged in front of the kiosk. However pumping concrete into the cracks, or as has been suggested, into the ground behind the wall is not a long-term solution. The anti-tank wall is made of separate concrete panels which do not appear to have foundations. So the wall 'sits' on soft sand and deflects the power of the sea at every high tide. At high tide, particularly in high winds, the power of the sea builds considerably as it runs around the wall from the western side to the eastern side. So the last 200 m of the wall towards the kiosk takes the greatest impact. This continual impact has caused the beach sand in front of the wall at the eastern end of the bay to 'scour' - to be repeatedly loosened and washed away from the base of the wall. This means the sea frequently gets underneath the protective concrete 'toe' at the base of the wall, washing the sand out. As gaps form underneath, the toe becomes unstable and moves. That causes the toe to crack away from the wall it was intended to protect and due to the lack of foundations the wall also moves, so toe and wall push apart. Several repairs have been undertaken with pumped concrete to try to repair the gaps that open up between the toe and the wall to prevent water getting under the wall. However due to the constant movement of the structures these have all failed. Pumping concrete behind the wall and/or into the cracks will not stop the wall moving and the cracks re-occurring. The structure would continue to deteriorate because the fundamental problem of the sea getting under the toe and the front of the wall would remain. The wall could theoretically be given a foundation (at significant cost) or be protected by a significant rock structure in front of the wall (at significant cost). However, there are drawbacks to both options. Founding the wall would not alter the fact that the wall is not located in the best position and is not designed to dissipate wave action and so would lead to continued scouring of the beach. 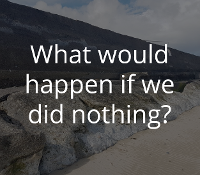 Building a rock structure would reduce the amenity value of the beach. 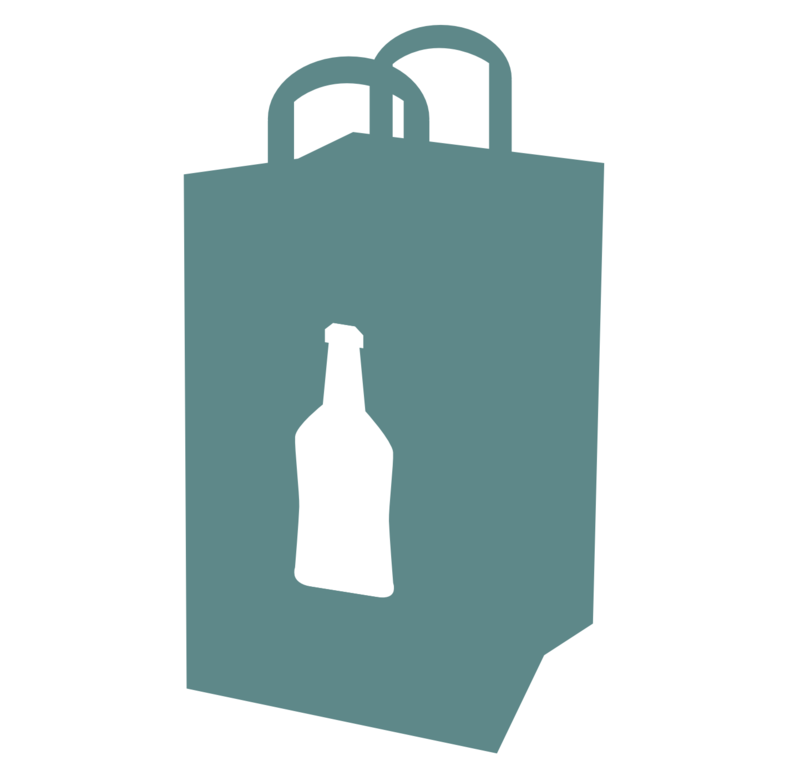 Both options would likely cost significantly more than what is proposed. What will happen to the kiosk? Will you try and protect it? How much will it cost to protect it? If not, why? The protection of the kiosk and facilities are being investigated as part of the plans. This option will be costed separately so that any decision can be made fully informed of the financial implications of protecting the kiosk. At this stage no decision has been made. 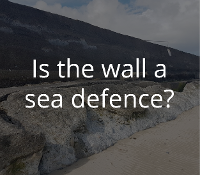 Why is this area/wall a priority compared to other areas of our sea defences that are equally deteriorating, or in some cases have failed? 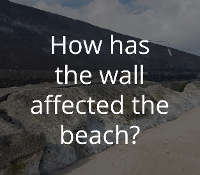 This work is being progressed as a priority so that the recreation and amenity value of the beach is not lost due to the condition of the wall. 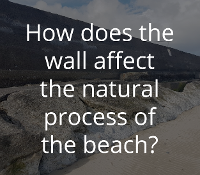 If the wall was to start to collapse there would be serious health and safety issues to address and it would likely mean closing increasingly large sections of the beach and the land behind due to the risk from the wall but also the difficulty of managing uncontrolled sea water going behind the remaining sections of wall. It's important to undertake urgent works now to the sections of wall which are key to the managed realignment process and reduce the health and safety risks at the same time. A programme of maintenance repairs for other key walls which protect vital infrastructure are in hand, subject to funding approval - major repairs to the wall opposite Admiral Park commenced in June. 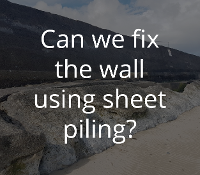 The options for repairing Fermain wall are also under consideration; this wall has not been forgotten but it is important that we do not view the repair of the wall without taking full account of the effect of the soft cliff behind it. Isn't the area going to be flooded if the wall is removed? Based on current ground levels, there is no direct flood route between L'Ancresse East and the lower ground to the south. The projected erosion extent, following removal of the wall, does not introduce additional flood routes. Where sections of wall are removed, as part of the managed realignment, a natural system will develop. This will create a natural barrier which will continue to build over time with grasses and plants giving protection - as at Port Soif, Grande Rocques and Les Amarreurs. The dune will prevent flooding from the sea and in the future the dune will be adaptable, possibly through landscaping behind it, to address sea level rise associated with climate change. Historically there are no reported incidents of flooding of the common prior to the erection of the wall in the 1940's.